Be inspired to rise above the challenges thrown at you in order to live life to the fullest and achieve your dreams! I received a free copy of this product as a member of The Booklook Bloggers Program in exchange for writing a review. All opinions are my own. You see, I have a bit of a connection to the author. We shared the same coach and even though while I was spending my summers in Colorado training with this blade-master, Scott was out on tour with Stars on Ice, he was often back in town and at the rink disrupting our zamboni-break card games like Spoons and Kemps. Funny fact: until just this very moment, I'd thought the card game was "Kims," because that's what it always sounded like to me when we skaters were all were crammed into the corner of the snack bar at the rink playing it. I only just realized as I went to type it here that it was a strange name for a card game, and that maybe it was something another skater made up and not a real game at all. So I consulted Google and learned that it is a real card game, but its name is Kemps and who knew after all these (30!!!) years that I'd had the name wrong all along? Anyway, it's not like we were best buddies or anything, but he was just the nicest guy in the world and treated everyone around him like they mattered -- and he either never forgot a face or he was just so kind as to pretend he didn't, because for several years after my last summer in Colorado, he'd still remember me when he was in town on tour. So, when the book arrived, I didn't bother to scan even the jacket before diving right into the text and I had no clue what it would actually be about. It turned out to not be so much about his life or skating after all (although he definitely still shares plenty of skating-related stories, of which my favorite were about our coach, Mr. Laws) but about how competing seems to be viewed as a negative thing these days. Scott believes that healthy competition is a good thing and something people in all walks of life should embrace, since working hard to beat the competition is what helps us rise above a life of settling for less than what God intends. Besides expecting (whoops, guess I had a few expectations about the book, after all) the book to contain a bit more skating, I also assumed it would be a bit more focused on his faith (this book is published by Thomas Nelson, after all). 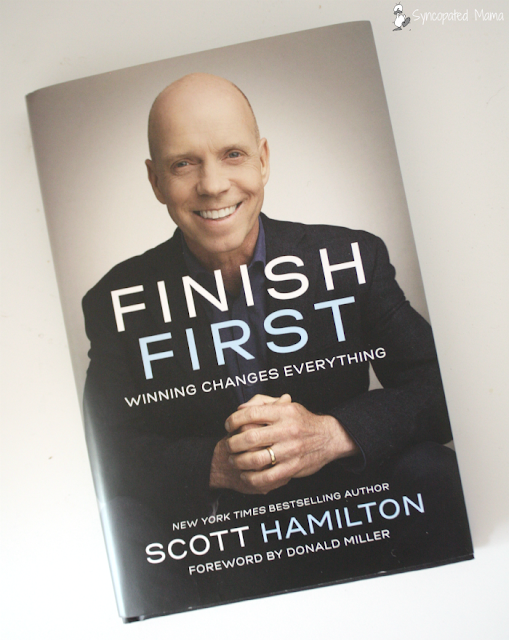 Instead, it turned out to be just what I most often appreciate in a Christian-themed book: Scott's beliefs are woven throughout every aspect of his being, without his needing to hit you over the head with it and remind you every few sentences what he believes. Not only do I feel this makes his words more down-to-earth and "normal," but it opens up the book to a wider audience who might not appreciate being preached at. I told G that when I finished reading this book, I felt like I'd just sat through a motivational or keynote speaker at a conference. The speakers G has encountered have obviously been a bit different from those I have, because G assumed that meant that I was bored by the book and that its author had just dumped a load of information on me. But when I think of keynote speakers, I think of those who have the gift of encouraging and motivating the listener to see that winning in life is truly something that can be attained. This book is great for helping anyone see how to uncover hidden potential and allow the champion inside to emerge and bring the world the greatest possible good, whether you are an athlete, parent, spouse, or businessperson. 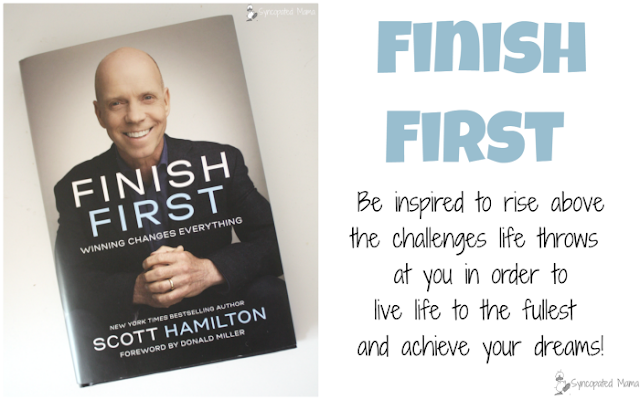 Grab your copy here and help recharge your own competitive spirit to win at life! Have you felt like being competitive has a negative connotation these days? I'd love to hear! Either leave a comment below or email me at lisahealy (at) outlook (dot) com.